It’s the Christmas season! Who doesn’t love Christmas? 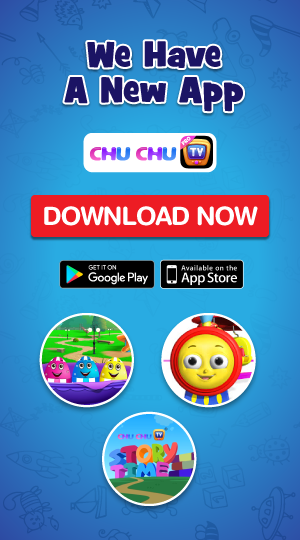 It is the perfect time to bring your family together for some fun. This holiday, sit with your kids and get crafty. Involve your kids in making a few Christmas decors before the Santa makes his annual drop-in. 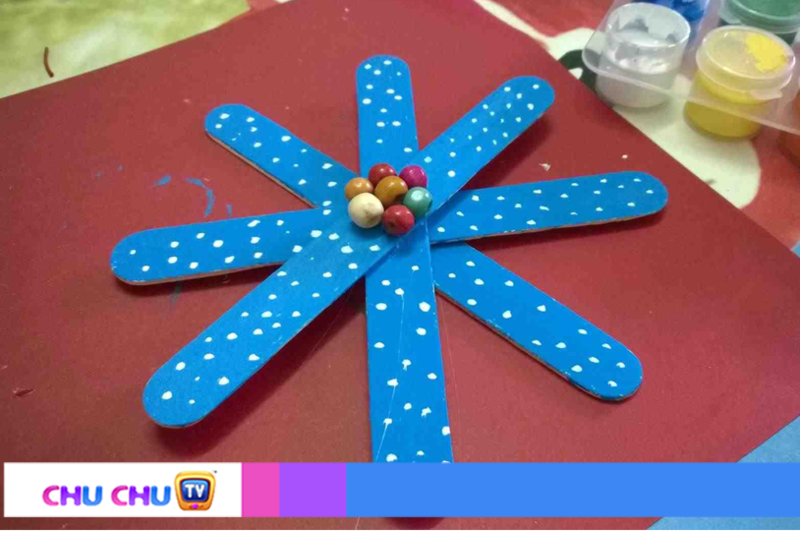 So are you ready to have an art and craft session with your kids? For, we are super happy to help. 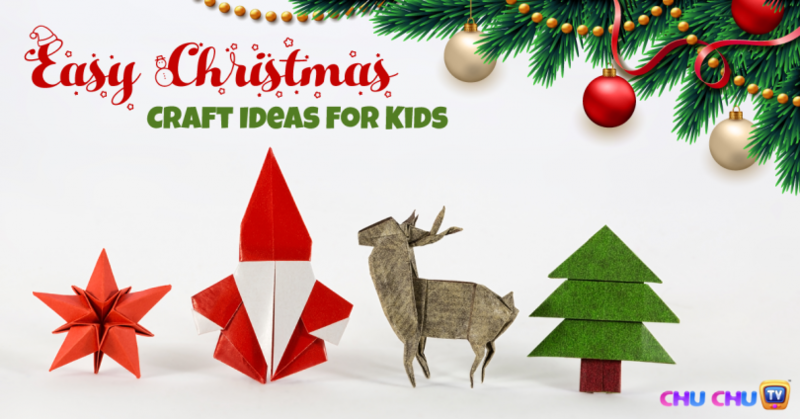 Here are a few simple DIY Christmas craft ideas for kids that you can try with. What’s the first thing you remember when you think of Christmas? Yes! Snowman. 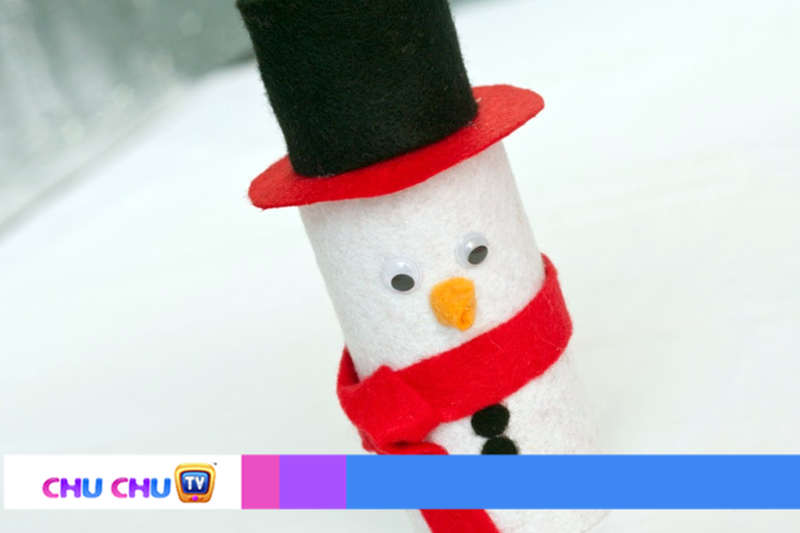 Wouldn’t your child would be super excited to recreate a snowman craft with some basic, but easily available materials? Pick up a few toilet paper rolls and cover them up with a quilt batting. Decorate them with craft gems, fabric scraps, googly eyes and what not? Trust us your kids will definitely enjoy making this. Does your child know the story of gingerbread man? Well, tell them the story of our gingerbread man while creating one. Cut a brown paper in the shape of a gingerbread man. Pick up a fabric scrap and wrap it around the gingerbread man’s neck. Decorate the man with a few craft scraps. Put googly eyes for that funky finishing touch! 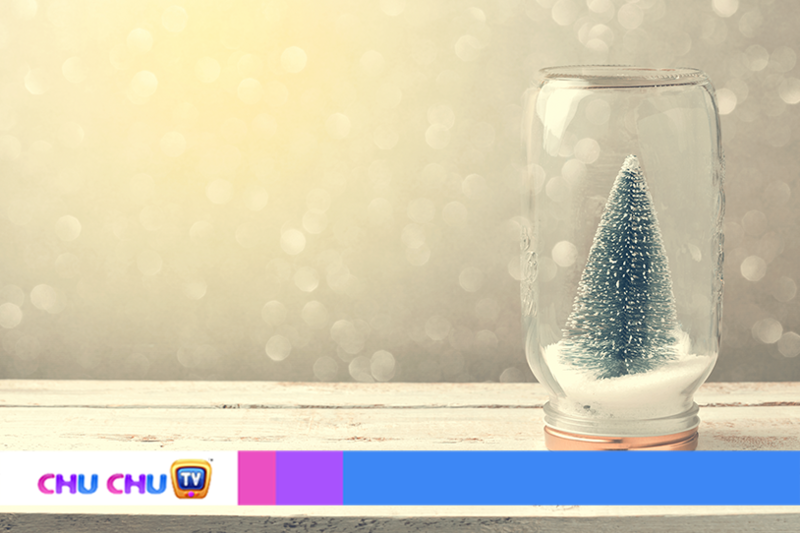 Don’t thrash your used glass jar — instead, turn it into a mini snow globe wonderland. Fill the glass with thermocol balls, toys and glitters. Glue a small Christmas tree to the inside of the jars’ lid, and then screw the lid. Voila! Your snow globe is ready. Christmas and stars go hand in hand. Let your kids decorate your Christmas tree with colourful stars with our DIY Woolen Christmas star. Help your child to cut star-shaped cut outs from a cardboard. Wrap them up with woollen threads of different colours and secure them with glue. Attach a string to these stars to and hang them on the tree. This is one of the best crafts to decorate your Christmas tree. Create a handprint cut out of a chart paper and decorate them using cotton for the beard effect. 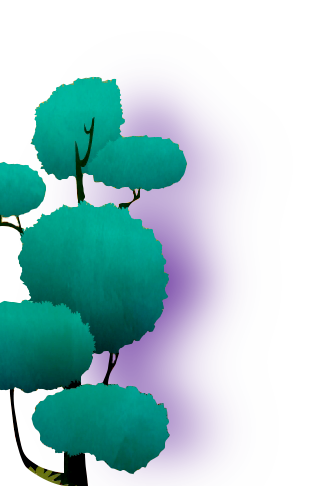 Add buttons for eyes and a red triangle chart for the hat. Make a new handprint Santa every year. Your kids will cherish them for the years to come. Gift Exchanging is one of the best things about Christmas. Personalize the gifts with gift wraps made by your kids. Cut potatoes into different shapes, dunk it in color paints and stamp it on plain gift wraps and the gift wraps are ready. Your near and dear ones are going to be impressed by your child’s handiworks and their efforts. Mini candy canes, googly eyes, glue and a few colour felts are all that your kids need to make a whole herd of adorable little reminders for your Christmas tree. 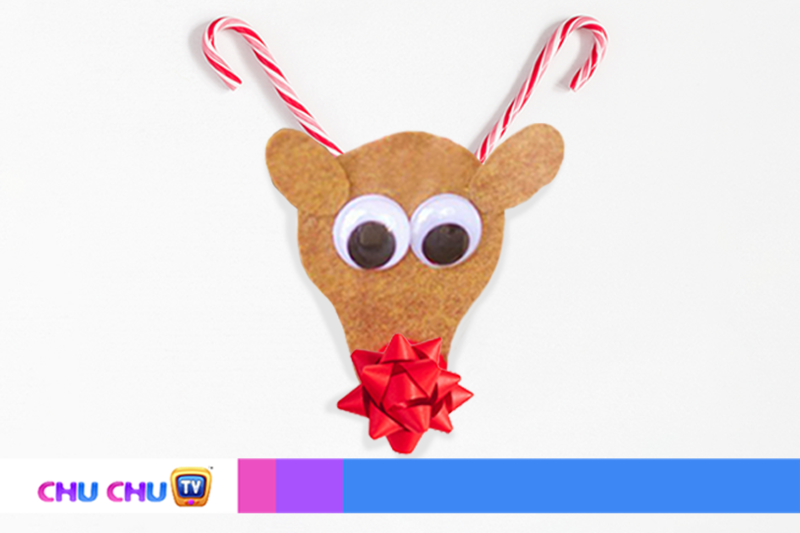 Assist your little ones to cut out a reindeer head template in chart paper/cardboards/ felts. Glue a red pom-pom to the nose and put two googly eyes in its place, above the nose. Now glue two mini candy canes for the ear effect. Your candy canes reindeers are now ready! Ask your kids to brighten up your runway to make sure that the Santa has no trouble finding your house on Christmas Eve. Pick up a few mason jars and apply glue in their interiors. Pour glitters inside and roll the jar, so that the glitter spreads uniformly. 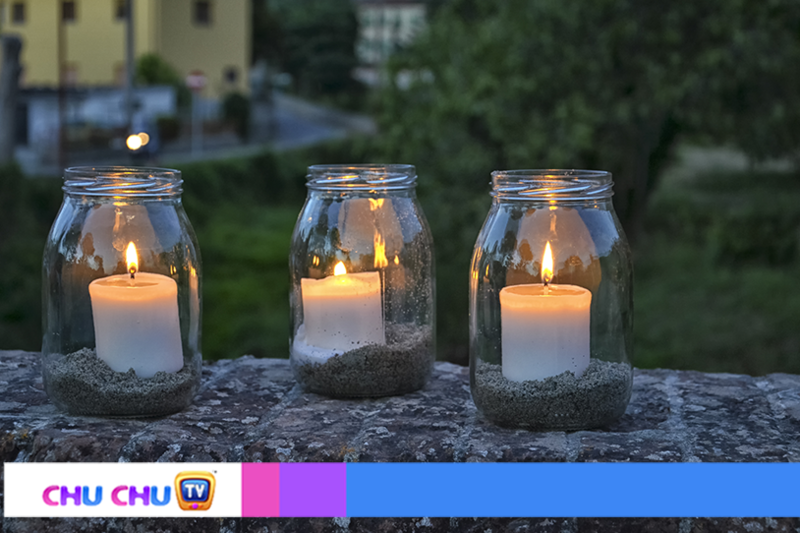 Place artificial glowing candles and decorate your runway! 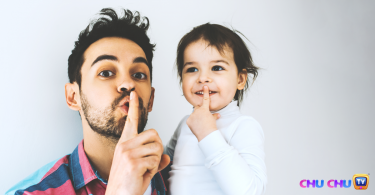 It’s a known fact that some of the easiest crafts for kids involve Popsicle sticks. How would we miss out on that? Here is a way for your kids to create a snowflake with Popsicle sticks. Paint the Popsicle sticks with the colour of your choice. Once they are dry, stick them together with glue in alternate positions. Now spray paint on them using a toothbrush. To finish it up, attach a string and hang it to the Christmas tree or in the exteriors of your house. What’s Christmas without a Christmas tree? Help your munchkin create a super cool Mini X-Mas tree with just paper strips. Cut paper strips and then glue the paper strips together, placing them in a cardboard, alternating each strip’s direction to create a full, rounded design. Top your X-Mas tree with a glittered cardboard star. We think crafting at home is all about making memories. Do try out these crafts with your kids to not just decorate your home for Christmas but also to share some happy moments together. Like and share if you find this useful and subscribe to get more such content!